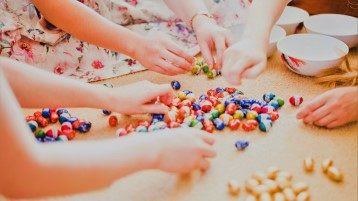 Receive a Special Surprise this Easter! BOOK YOUR NEXT HOLIDAY VILLA! We made easy for you - From only 50€ Deposit! - See our range of properties..
- Check now our properties! We are specialized in property management! - Consult our special conditions! Comfortable and pleasant newly renovated first floor apartment, set in Zone 3 of Dunas Douradas, at a very short walking distance from the facilities and the beach! The exquisite design and location make this the perfect villa to spend your holidays!! Set in a privileged location, in Zone 7, in the resort of Dunas Douradas, within very short walking distance to the beach and exclusive use of the pretty communal garden area running through zone 7 and just behind the property. Stunning and well decorated two bedroom villa with private pool, located in a nice residential area with a relaxing view over Vale do Lobo Golf Courses. 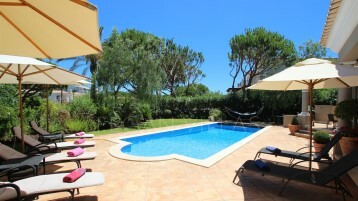 This Villa is only a 15 minutes walking distance to the Vale do Lobo Praça and beach. Amazing sunny villa with private pool with stunning sunset views, close to all Dunas Douradas amenities and a short walk distance to the beach! Well located and ideal for family holidays! Luxurious 3 bed villa with private pool, close to the beach, located in the beautiful zone 9 in the famous resort of Dunas Douradas! Perfect setting for a relaxed break and family time! A fantastic 3 bedroom villa located in zone 6, Dunas Douradas, walking distance to the beach. A perfect choice for a family holiday with cousy feeling and relaxing view. This is a beautiful, well equipped and spacious villa, situated in Zone 9 in the prestigious resort of Dunas Douradas, right on the fine sanded coast, taking advantage of it´s proximity to the beach, within easy walking distance. Perfect for family holidays! Luxury and stylishly four bedroom villa with private pool located only 600 meters away from the golden sandy beach of Dunas Douradas. This superb villa set in 3 levels benefits from a fabulous sea and pond view from the top terrace and with exclusive use of the pretty communal garden area running Zone 7. Properties for Sale Algarve Gallery Contact Us! Receive a special surprise this Easter! Please consult our terms and conditions! Would you like us to keep you informed of our special offers, news and updates?